So Taco Bell's Twitter, Facebook, Instagram and website went black on Tuesday, leaving only an ominous message behind — #onlyintheapp. Is the fast food giant taking a stance against society's hopeless addiction to social media? Are they lapsing into a soft taco-fueled existential crisis? Nah. Rather, the Internet hiatus is being used to promote Taco Bell's new mobile ordering app, which debuted Tuesday. The unusual promotional device is working with surprising effectiveness. Taco Bell has a huge following on social media, so when the blackout hit news feeds people paid attention. Tressie Lieberman, Taco Bell's senior director of digital platforms, told USA Today that the move was a reward for loyal customers. We wanted to make sure our fans were the people who found out about this first. We wanted to break through with a message that gets them excited and talking. So all of the cinnamon twist loyalists who regularly check Taco Bell's online presence may have been the first to know, but the innovative marketing technique is getting the word out quickly. 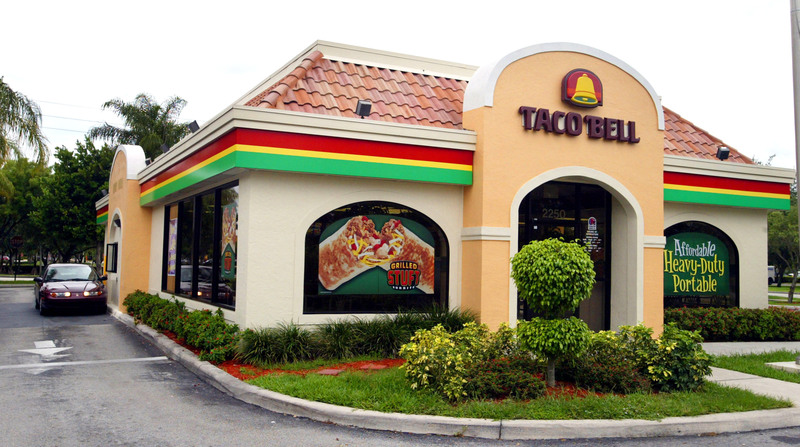 Taco Bell has been noted for its extensive online reach and smart social media marketing. This is only the latest stroke of genius. The mobile app allows customers to order and pay right from their smart phones, with the option to either drive-thru or go in one of the stores to pick it up. The unprecedented fast food mobile ordering will offer a customizable menu, order history, and special deals reserved for app users. Outback Steakhouse also announced a mobile ordering function on Tuesday, but has been largely eclipsed by the Fourthmeal Fever. I'm really starting to feel bad for the (hopefully) small handful of people who derived their joy out of Taco Bell's media presence and only there. But they've got a new smart phone toy now! The app makes it easy to recreate your perfect Taco Bell experience by making order histories easily accessible. Taco Bell offers incentives to users by offering #onlyintheapp deals. What the hell is a Baja Blast Freeze? Who cares?! It's only $1. The menu is separated into logical subsections and with people looking v. excited to a crunchy taco. Select your location, and BOOM. Tacos. Or burrito. Or quesadilla. This new development has put me in a very dangerous predicament. I usually only succumb to the call of Taco Bell while I'm in in the throes of drunchies. Usually I can convince myself otherwise, thinking it'd be easier to go to bed than sit with the rest of the late-night crowd and wait on an order. Now, with a Cheesy Gordita Crunch just a few mindless taps away, I won't have the time to remember that very particular feeling of waking up the next morning, knowing from your first conscious blinks that you will pay for last night's sins. Damn you, Taco Bell, you brilliant SOB.